The Special Rapporteur on the human rights to safe drinking water and sanitation is seeking the views and perspective of interested perspectives on the regulation of water and sanitation services in regard of these human rights. “Pursuant to Human Rights Council Resolution 27/7 of 2014 and 33/10 of 2016, the Special Rapporteur on the human rights to safe drinking water and sanitation, Mr. Léo Heller, was mandated to work on identifying challenges and obstacles to the full realization of the rights, as well as protection gaps, good practices and enabling factors. The Special Rapporteur is elaborating a report on the subject of regulation of water and sanitation services in the context of realization of human rights. The report will be presented to the Human Rights Council at its 36th session in September 2017. 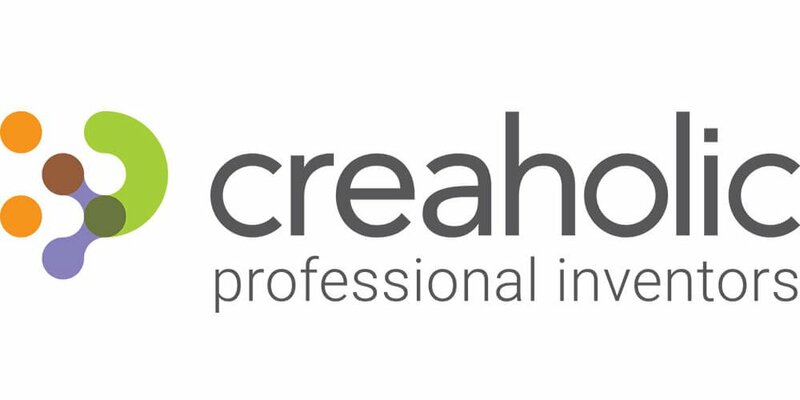 As part of the consultation process, the Special Rapporteur is inviting States, intergovernmental organizations, national and international non-governmental organizations, national human rights institutions, United Nations agencies and entities, academia and all other interested stakeholders to contribute their views and perspectives in writing through a questionnaire. The deadline for submission is 7 April 2017. Due to a limited capacity for translation, responses to the questionnaire should be in English, French or Spanish. WHO & UNICEF announce the new WHO/UNICEF Joint Monitoring Programme for Water Supply and Sanitation (JMP) 2017 Thematic Report: Safely Managed Drinking Water. JMP is responsible for the monitoring of progress towards the water, sanitation and hygiene (WASH) related target of the Agenda 2030 for sustainable development. JMP was also responsible of the monitoring of the progress towards the achievement of the Millennium Development Goals (MDGs) since 1990. However, the Sustainable Development Goals sets targets that are more ambitious. 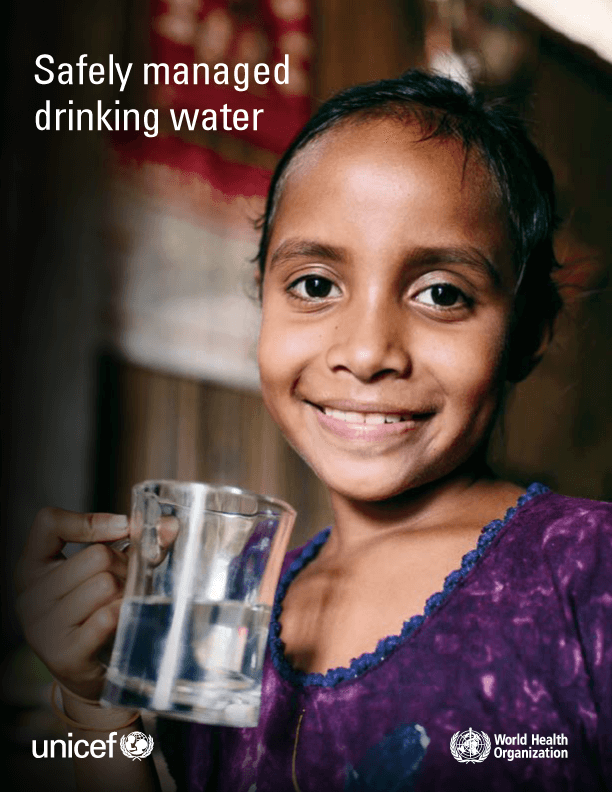 This report considers the implications of target 6.1, “by 2030, achieve universal and equitable access to safe and affordable drinking water for all, and outlines JMP plans for enhanced global monitoring of drinking water during the SDG era. It also examines the availability of data and how data from different sources will be combined to adequately monitor progress towards this target and thus ensure that no one is left behind. The Aguasan Community of Practice published a short document “SDG 6 along the water and nutrient cycles” based on the experience fort the last AGUASAN workshop. You can download the document here. 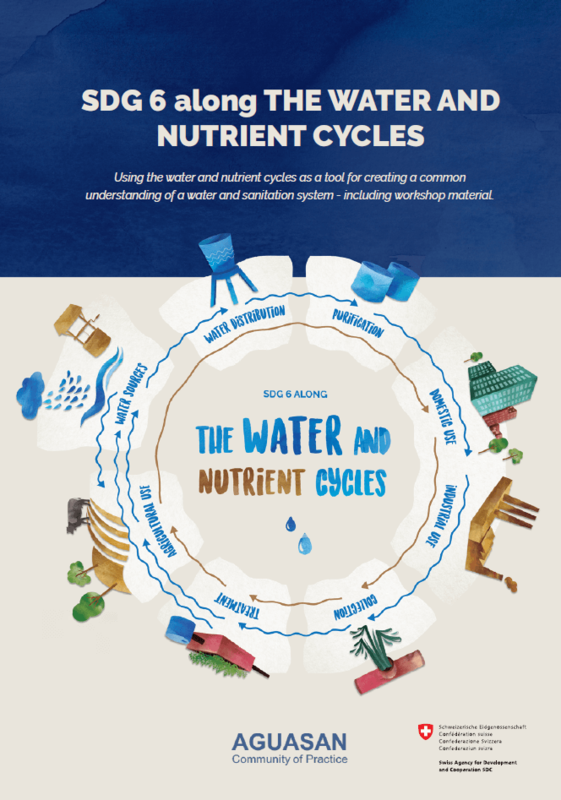 The publication illustrates how the water and nutrient cycles can be used in a multi-stakeholder setting to create a common understanding of a water and sanitation system and aligning it with SDG 6. It also includes a “water and nutrient cycles puzzle” to be used as workshop material. This year’s edition of the Aguasan Workshop will take place in the last week of June under the title: „Circular Economy – transforming waste into resources“. You can find further information here. 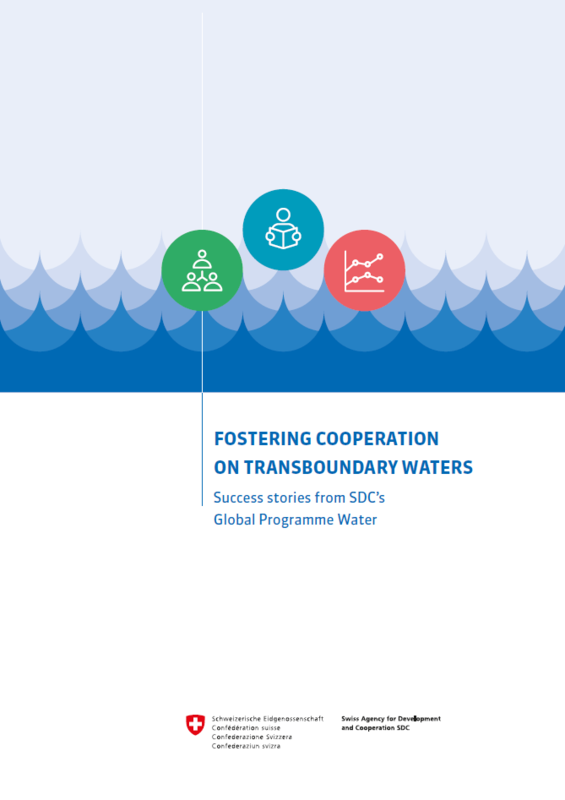 The knew knowledge product of SDC’s Global Program Water “FOSTERING COOPERATION ON TRANSBOUNDARY WATERS: Success stories from SDC’s transboundary waters program” is now available to consults in 5 languages: English, French, German, Italian and Spanish. „Technical cooperation—such as developing a shared knowledge base—does not automatically translate into political cooperation, but must be combined with efforts to build trust and foster dialogue.” This is one of several lessons learned drawn from SDC’s “Water Diplomacy and Governance in Key Transboundary Hot Spots” Programme and presented in a new knowledge product. The booklet provides insights into projects and partnerships in a number of basins around the world and features important achievements and success stories in fostering transboundary water cooperation. This and other publications are available on the webpage of the RésEAU, the exchange platform of SDC’s water network. The Swiss Water Partnership is looking for candidates to complete its Steering Board. Are you interested in contributing through your ideas and strategic advice to the development of the Swiss Water Partnership? Please express your interest until April 19 by sending a message to the Secretariat (info@swisswaterpartnership.ch). The SWP Steering Board meets twice a year to review the Secretariat’s work and give strategic advice. Steering Board retreats (once a year) have also been organised in order to deepen specific topics of strategic importance. The General Assembly (taking place on May 23) elects the members of the Steering Board for a mandate of 3 years. This year, one out of the 12 seats of the Steering Board is open for election. 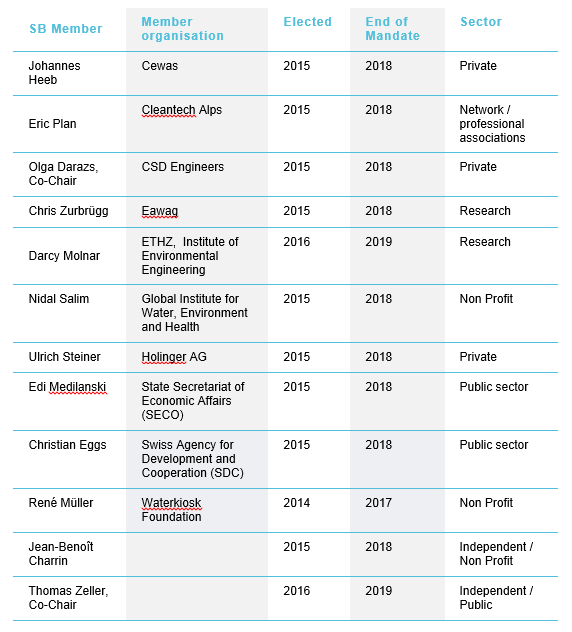 René Müller from the Waterkiosk Foundation has decided not to run for an additional mandate as a member of the steering board. If you are interested in running for the vacant seat, or if you have any question about it, please contact the SWP Secretariat (info@swisswaterpartnership.ch) before April 19. 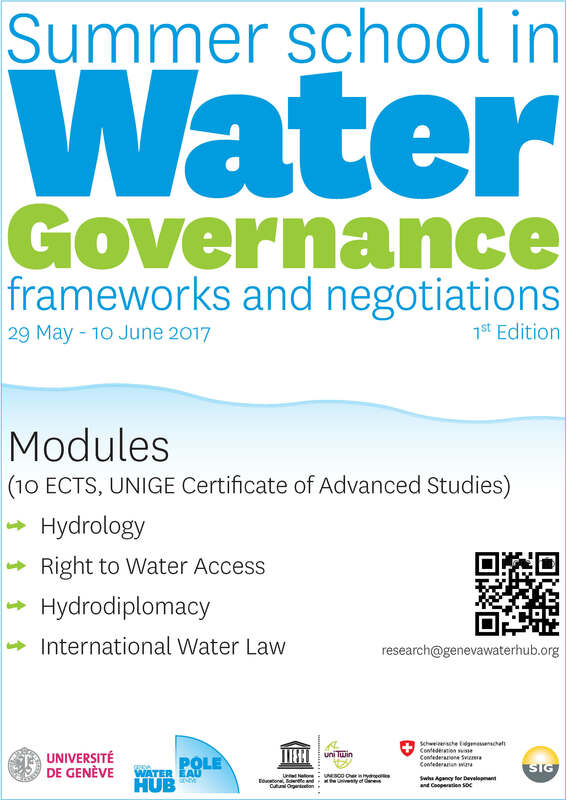 The Geneva Water Hub and the University of Geneva announce the new Summer School in Water Governance – Frameworks and Negotiations! Recognized as a Certificate of Advance Studies, the courses will cover Hydrological global trends, Right to water access, Hydrodiplomacy and International water Law. The program will take place in Geneva between May 29 and June 10 2017 and will be worth 11 ECTS (European Credit Transfer System). Deadline for registration is 1st May 2017. Follow this link to learn more and to subscribe: www.unige.ch/formcont/summerschoolwatergovernance. 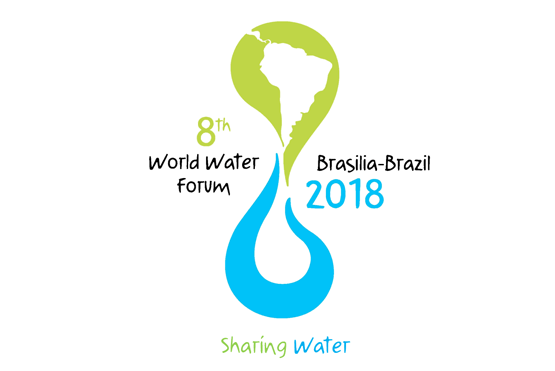 The organisers of the 8th World Water Forum, which will take place in Brasilia from 18 to 23 March 2018, have launched a series of on-line discussions called Your Voice. Everyone is encouraged to participate in on of the 6 ongoing thematic discussions. To participate go to worldwaterforum8.org/your-voice. The World Water Forum is reportedly “the world’s biggest water-related event and will be held in Brasilia, Brazil, from 18 to 23 March 2018. Along with the World Water Council (WWC), the Forum’s mission is to promote awareness, build political commitment and trigger action on critical water issues at all levels. It also aims to facilitate the efficient conservation, protection, development, planning, management and use of water in all its dimensions on an environmentally sustainable basis for the benefit of all life on Earth. To learn participate in the process, go to worldwaterforum8.org/your-voice. A number of Swiss Water Partnership (SWP) members, such as the Swiss Toilet Organisation (STO), cewas, and eawag, have joined hands to engage Swiss Youth in the water sector by organizing the “Swiss Junior Water Prize” (Swiss-JWP). The SWP supports this initiative and extends a call to all its members to collaborate in the realization of this award. The Swiss Junior Water Prize shall be awarded for the first time in 2017 and is open to young people between 15 and 20 years old, who have conducted school projects related to water and sanitation with proven environmental, scientific, social or technological significance. The winner will be entitled to represent Switzerland in the international final in Stockholm, held during the World Water Week. The Swiss Water Partnership will be present at the eco.naturkongress on March 31 in Basel. Next to the two workshops on Switzerland’s imported water risk and on South-North coordination in the water sector, the SWP will hold a booth throughout the day in the conference centre. Interested members are invited to join the booth to present themselves through the SWP. The eco.naturkongress is an annual conference attracting around 850 professionals from the Swiss environmental sector. Next to the congress, the workshops and the sustainability price eco.ch, the exhibition area allows to present ideas and innovations to the participants of the congress. If you are willing to present your organisation through the Swiss Water Partnership on the booth, please contact the SWP secretariat (info@swisswaterpartnership.ch) as soon as possible but no later than Wednesday March 15.